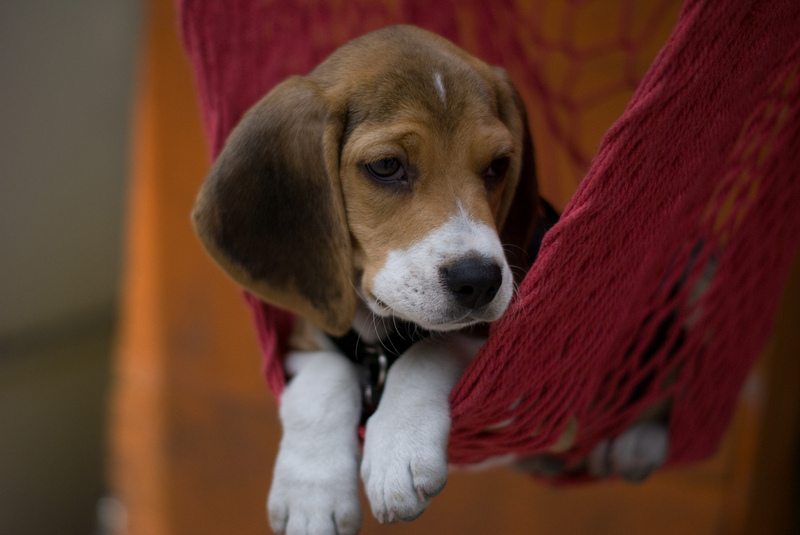 One of the sweetest dogs I have ever met is the Beagle. They are friendly, gentle and merry. I always love being around and with them. Sorry for all the photos, but I think that they are so cute! Beagles are kind and gentle with children. He loves to play with you and always wants to be near you and he's territorial and protective of his family. 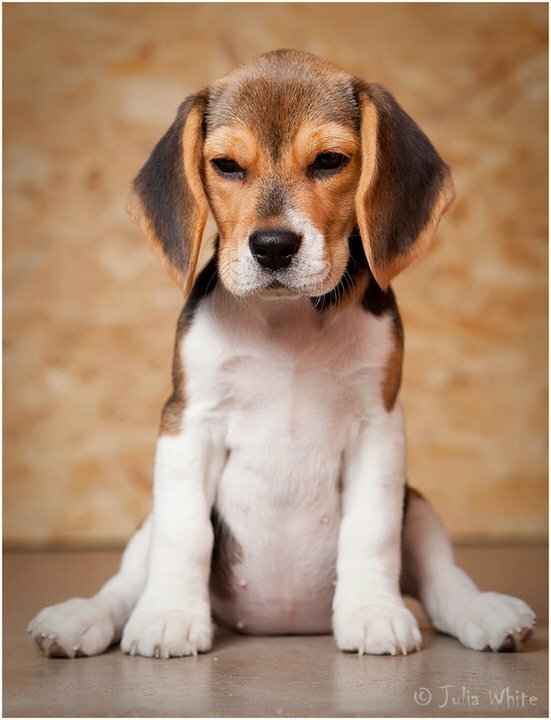 Beagles are a member of the Hound Group along with the Bloodhound, Dachshund, Basset Hound and many others! 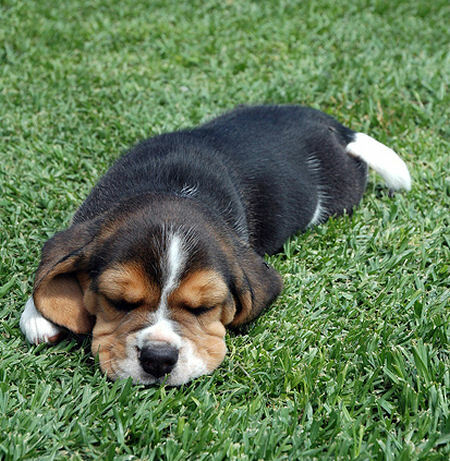 The Beagle is a small to medium-sized dog. 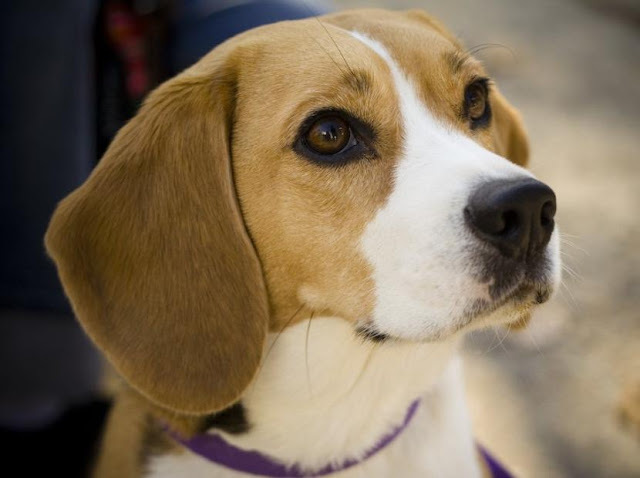 It is similar in appearance to the Foxhound, but smaller, with shorter legs and longer, softer ears. Beagles are a scent hound, which means that they use their sense of smell to find game, not like the Greyhound who as a sight hound, the breed pursues game using its vision and speed. Often you can tell sight hounds from scent hounds but their heads. For example, the Greyhound has a long lean head so the have more range to see, while the Beagle has a short square head, also the ears play a good part in scent hounds tracking. Their ears pull the scent towards their nose. He has a highly developed nose and will wander off after interesting smells. For this reason, he needs to be securely fenced in or on a leash when he's outdoors or he will wander miles away after a scent. He might be more interested in finding out where that fascinating smell comes from than obeying your commands! 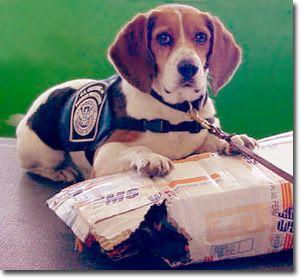 Due to their amazing sense of smell often today in airports throughout the USA, dogs of the "Beagle Brigade" sniff packages and baggage belonging to international passengers, searching for prohibited food and agricultural items. 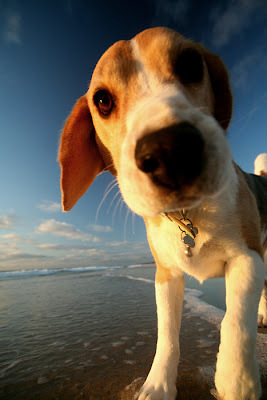 The Beagle can be quite noisy: baying and barking, telling you he has found his scent. He loves his food and will eat until he bursts if allowed to. He can be quite ingenious in coming up with ways to get to the food in the cupboard, in the bin or on the table! His favorite past time is digging in the dirt. He always wants to be near you and given lots of love and attention from his human family. They are eager to please and will always be willing to take a treat! Beagles have many different hair colors although the Tri-color (white with large black areas and light brown shading) is the most common, Beagles can occur in any hound color. 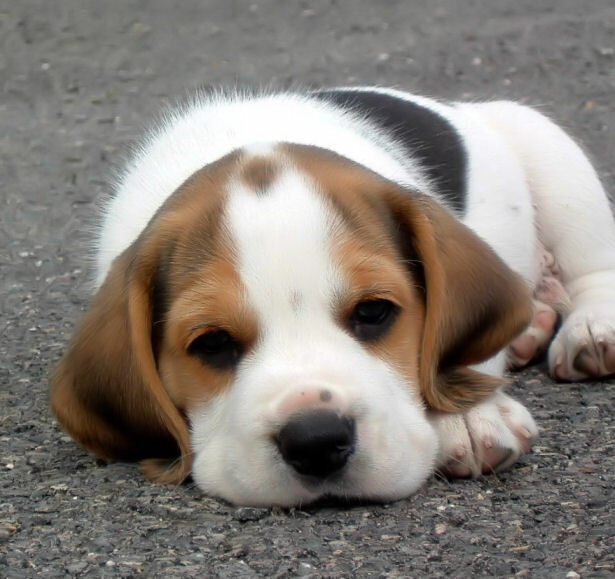 Some tricolored dogs have a broken pattern, sometimes referred to as pied. 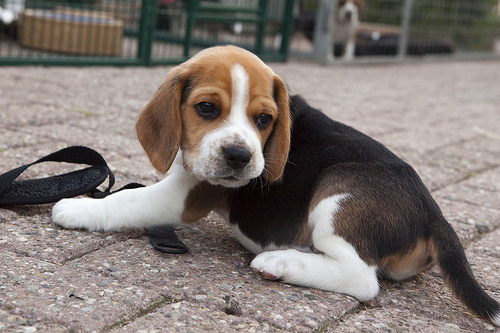 These dogs have mostly white coats with patches of black and brown hair. 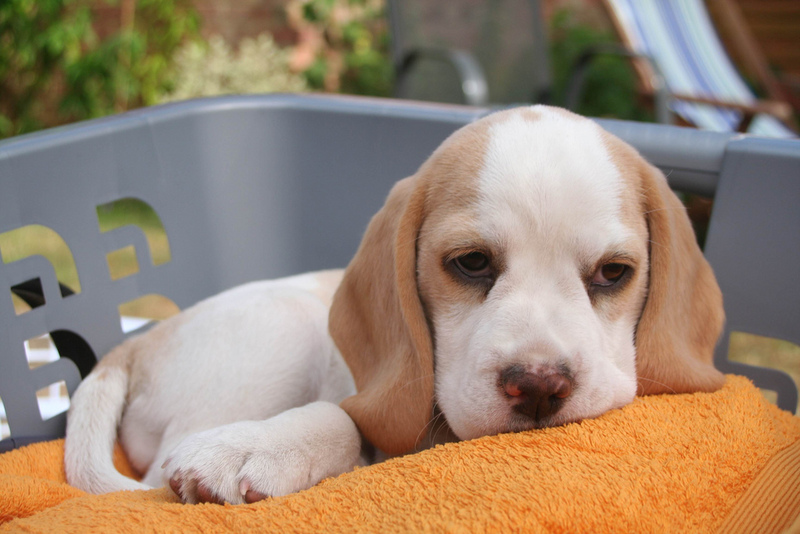 Some Beagles gradually change color during their lives, and may lose their black markings entirely. Two-color varieties always have a white base color with areas of the second color. Tan and white is the most common two-color variety, but there is a wide range of other colors including lemon, a very light tan; red, a reddish, almost orange, brown; and liver, a darker brown, and black. 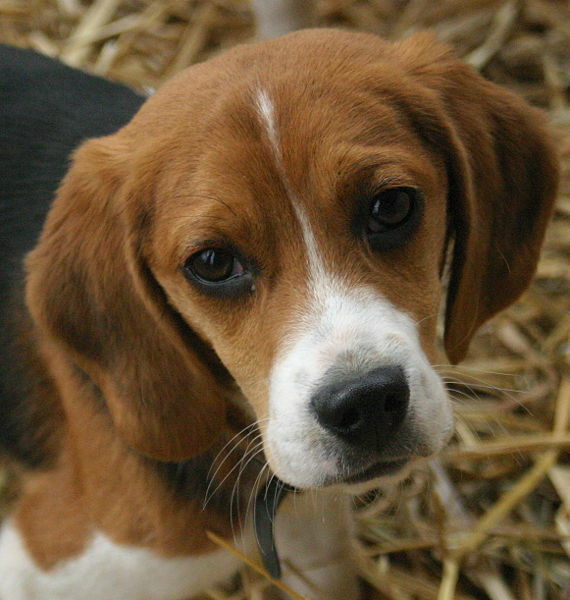 Beagles also have ticking of various colors in their white areas. The short coat of a Beagle requires only an occasional brushing. But he does shed and you may find yourself brushing him more the twice a week to remove loose hair. There’s no need to fear Underdog is here! In the 1960s President Lyndon Johnson had three Beagles.... named "Him", "Her", and "Edgar". And here is a really cute video that I found that I just LOVE! 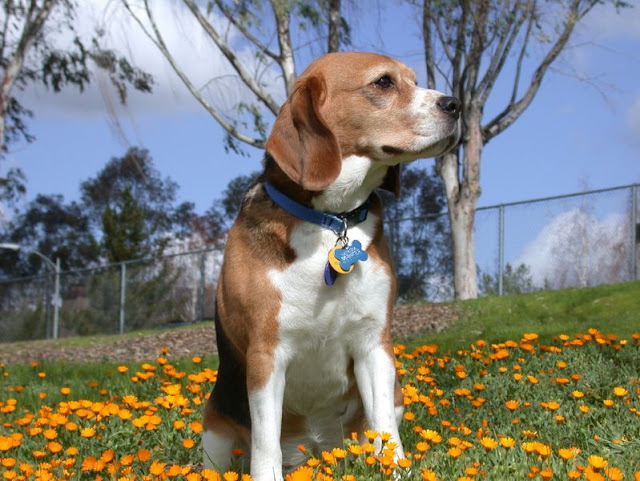 I hope you enjoyed learning more about the Beagle as much as I did! 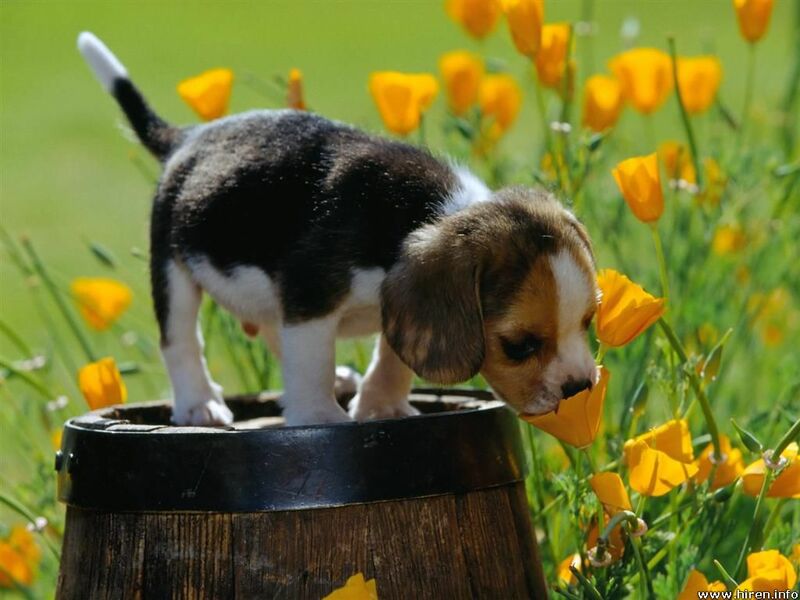 i love the pic of the beagle with his nose in the flower!